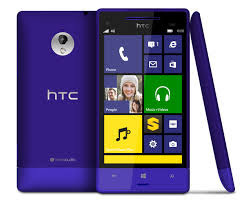 Finally htc launched its windows phone. It's amazing to be using windows OS on HTC looks like it would work great with amazing specs. HTC 8xt will launch on July 19th for $100. This model look great and it is one step ahead as compared to nokia Lumia 720. As you see it tabled its ram and processor is better as compared to Lima 720.it also contain gorilla glass,which is too clear and can kill all germs on the screen and make the screen like crystal.its picture quality is also good as compared to others it has 8 mecapixel back camera and 1.6 mecapixel front camera.it also came eith one remarkable feature that you can take a picture during recording video sounds great.it also has geo tagging,auto focusand burst mode.it is the first window phone who cam up with "BOOMSOUND",it means thta it contain front facing dual stereo speker dedicated with handsome amplifier.The 8XT has a 4.3-inch display, a 1.4 GHz dual-core Qualcomm processor and an eight-megapixel rear-facing camera.